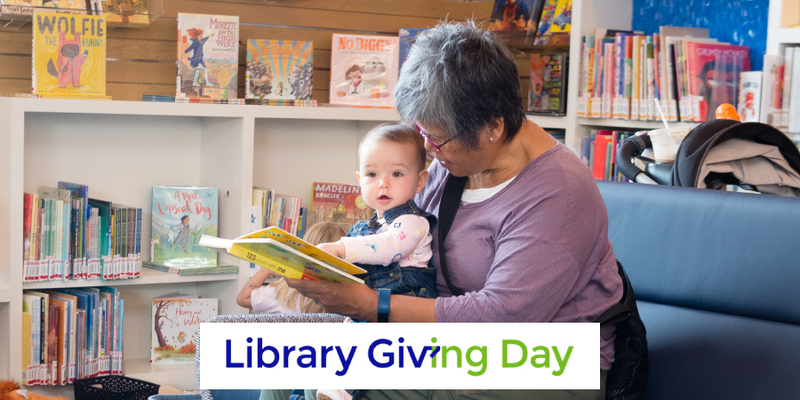 Support San Mateo County Libraries During Library Giving Day! Support your library during Library Giving Dayopens a new window! San Mateo County Libraries is part of a nationwide coalition of libraries joining forces to raise funds through an inaugural Library Giving Day campaign. This campaign reminds us that our libraries serve as a cornerstone for our communities. Beyond well-loved books, our libraries offer innovative programs that promote lifelong learning, connect you to technology, and advance knowledge. This one-day online fundraising event will occur on Wednesday, April 10th and encourages everyone to make a gift in support of the library. Donate anytime now through April 10th by visiting our new foundationopens a new window. Join us! By becoming a donor, you will invest in the power to enrich the lives of everyone in our communities. With gifts from generous people like you, we can continue to fund and enhance library collections and technology, free programs and events, and expanded access – ensuring the continued strength of San Mateo County Libraries.